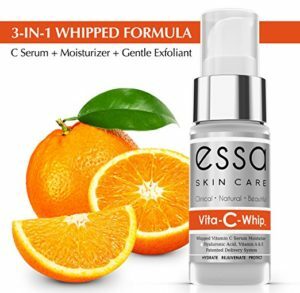 This Whipped Vitamin C Serum by Essa Skin Care is great value, because it is really three skin solutions in one bottle! You have the vitamin C whipped formula for its potent antioxidant properties, hyaluronic acid for its super hydration properties and beautifully mild and gentle exfoliation crystals for super clean skin. The silky, smooth whipped lotion base of this vitamin C serum formula is also non-oily, non-greasy, non-irritating, and non-sticky. Innovative whipped formula that hugs and hydrates your skin. 5-7% undiluted Vitamin C Ester for super absorption and efficacy. Hyaluronic acid for super hydration and a boost to collagen production. Not sticky, oily, greasy or irritating. No sulfates, parabens, pthalates or formaldehyde. 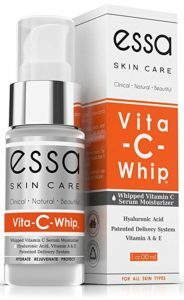 The Vita-C-Whip, Whipped Vitamin C Serum formula incorporates both Inflacin™, a natural anti-inflammatory that calms and soothes the skin, and QuSomes®, a superb delivery system that has been proven extremely effective in transporting the ingredients directly to where they are needed without losing any of their effectiveness along the way. The results of these technologies give you a healthy, fresh and well nourished skin. With vitamin C, hyaluronic acid, aloe vera, vitamins A and E, coconut and palm oil, green tea and grape seed extract, the Vita-C-Whip offers you everything you need for a fabulous complexion and healthy skin. 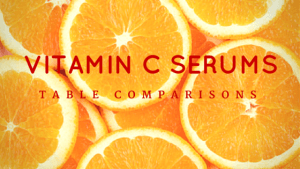 Vitamin C: This Whipped Vitamin C Serum contain a 5% to 7% undiluted ester of Vitamin C, which is absorbed into your skin 25 times more effectively than many other forms of vitamin C. Acscorbic acid, which is the type of vitamin C seen in many other serums is lower quality than the ester, is not so stable and doesn’t penetrate your skin as well as the ester. This form of vitamin C is considered the “Gold Standard”, based on the many scientific studies showing its superior efficacy, stability, and skin cell response. Vitamin C helps to brighten your skin, reducing dark spots and hyper-pigmentation and giving you a more even skin tone. Hyaluronic acid: Known as the “fountain of youth”, hyaluronic acid is a super hydrator, penetrating your skin deeply and delivering a super pulse of moisture right where it is needed. Hyaluronic acid not only hydrates your skin, but it also stimulates the production of collagen, helping to plump up sagging skin and reducing fine lines and wrinkles. Aloe vera: Well-known for it wound healing and anti-inflammatory properties, aloe vera stimulates cellular turnover and repair, and also helps to heal acne and moisturize dry skin. It is also a wonderful moisturizer for people with oily skin, because it is non-greasy and penetrates into your skin easily. Not forgetting that aloe vera is chocked full of antioxidants, including vitamin C and vitamin A, so it helps to reduce pigmentation problems and fight free radical damage caused by UV light. Vitamins A and E: Both of these vitamins are powerful antioxidants, reducing sun spots and age spots, minimizing hyper-pigmentation and reversing the effects of free radical damage. Vitamin A also helps to clear away acne by stimulating cellular turnover and slowing the production of oil. Vitamin E helps to heal dry skin, leaving it super silky smooth and supple. Coconut and palm oil: Coconut oil and palm oil are both packed with vitamin E, so you have even more antioxidant properties to help hydrate your skin and fight free radical damage, and the fatty acids in these oils keeps your skin soft and supple. Green tea: If you want a vitamin C serum that is packed with antioxidants, green tea is the perfect ingredient. Known as one of the “super” antioxidants, green tea helps to fight free radical damage caused by UV light, reduces the production of sebum, heals acne and blackheads, and gently exfoliates the dead cells and debris away from your skin. Grape seed extract: Packed with antioxidants that are even more powerful than vitamins C and E, grape seed extract seriously helps to protect your skin from too much exposure to the sun and reduces sun spots and age spots. It also stimulates the production of collagen, giving your skin a more youthful and plumper appearance, and is an ideal ingredient in your skin care products. 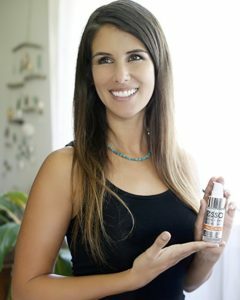 What do customers say about this Whipped Vitamin C Serum? The vast majority of online customer reviews are very positive. Customers tend to see fast results in only a few weeks with sun spots reducing and their skin looking and feeling more hydrated. Some customers don’t need to use a moisturizer with this serum, but most still need to follow it up with a moisturizer as well. FYI: Even though it is advertised as a serum – because of the whipped formula, it is more like a lotion than a serum. I have noticed fewer fine lines, and my skin is brighter and smoother. This is my second bottle of Essa and I feel that my skin looks healthier. I noticed pretty quickly lines and wrinkles diminishing, as well as some sun spots. I have very sensitive skin, but have been using it morning and night with no problems. My skin is definitely brighter. After using for a week now my skin feels even more smooth than it did before. The spots on my face have faded and my skin is brighter smoother and definitely has more of an even color! This lovely Whipped Vitamin C Serum uses patented technology to deliver a host of antioxidants to your skin! With three functions in one (skin brightener, moisturizer and an exfoliant), this serum (which feels like a lotion) is well liked by customers giving them brighter, fresher, cleaner and more even toned skin. Currently selling at just under $30, if you see it in the daily deals section on Amazon – grab it fast!